AUTOMATION. BEST OF BOTH WORLDS. A SCADA/DCS from Cactus Rail contains all the parts you expect to automatically control, configure and monitor bridges, sidings, tunnels or other adjacent installations in the infrastructure. Our heritage comes from industrial automation, and over the decades several hundreds of turn-key SCADA/DCS-systems have been deployed for vital 24x7 utility sectors in the Swedish infrastructure. Cactus Rail is a complete automation service supplier with SCADA/DCS software and workstations, sub­stations and PLC systems, automation cabinets, communications equipment and other field equipment. We also provide project management, design, training and documentation for a successful outcome. For closer integration between operational systems (SCADA/DCS) and the infrastructure, the system includes DCS functionality. This means that SCADA and DCS can be combined into a hybrid solution that takes the best from both worlds. A Cactus Rail system with DCS ensures a homo­geneous solution for the highest security, positive cost development, and efficient maintenance. Dedicated substations that are closely integrated in the central system make for superbly simple maintenance and support. Thanks to uniform system design, control is carried out consistently. The same principles, the same terms – regardless of the level in the system. Everyone understands how it works. The number of administration errors is minimized. The control elements are also portable to new generations of DCS stations. This ensures a positive cost development which goes on improving the longer you own the system. Thanks to the high level of integration, communication between the server and substations can be designed and executed with a high degree of reliability. The systems are robust and have integrated solutions for authorizations between systems, and these are updated on an ongoing basis. Railways often have a diversified infrastructure with different types of component. Secure collection of data is therefore a key part of understanding and managing the system. Simple maintenance, where troubleshooting and reconfiguration can be handled centrally and distributed out to the installation, provides great operational benefits and savings in maintenance. With Cactus TMS we therefore offer our own substations which are completely integrated. This means, for instance, that configuration modifications can take place directly and online – even over poor and long-distance connections. With our substations you can easily communicate with both relay-based and computerised interlockings. You can also control and monitor other systems, where the substations can basically be connected to all types of process. With our Cactus C1, C10 and C100 models, we can offer a substation with benefits optimised to your system types and needs. We also offer integration with PLCs of almost any make. By connecting one or more Logger units to your existing system, you can create a cost-effective solution to gain control and oversight of smaller installations too – facilities that are often geographically spread over large areas. No installation or measurement point is too small. The units are available with battery power and can then operate with complete autonomy anywhere. The Cactus C10 is a compact, cost-efficient substation. Despite its small size, it is a fully fledged Cactus substation. A compact housing, low power consumption and space-saving assembly options on a DIN rail are other valuable characteristics. 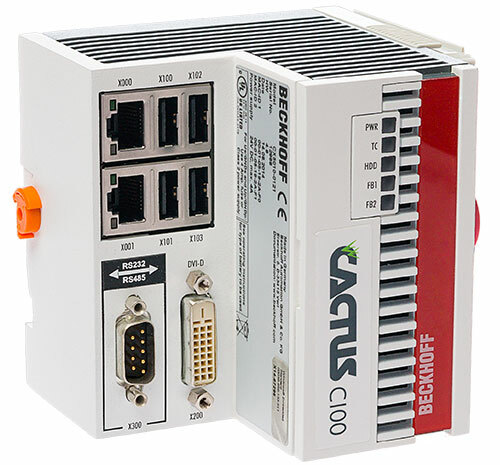 Approximately 200 I/Os can be connected to a Cactus 10, making it ideal for remote control of relay interlocking for a smaller station with 2-3 platforms. Or integration with lighting, traction, tannoy control or other equipment. Data collection is secure as communication with the C100 is in encrypted form via TCP/IP. 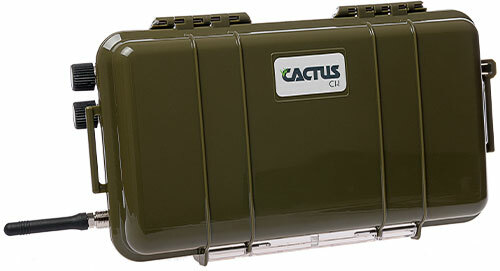 For supervising large stations we can offer the Cactus C100. Approximately 2,000 I/Os can be connected to this substation via Profibus DP. The C100 can be equipped with a display for local control options. 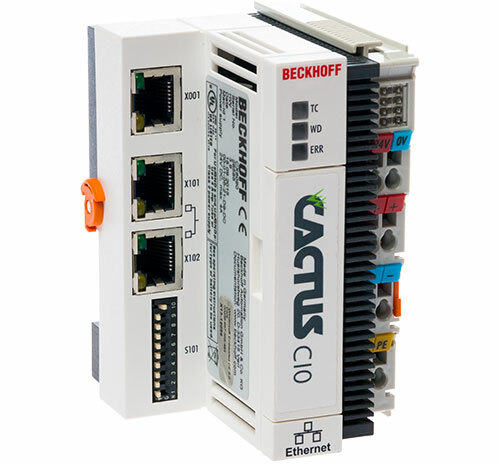 The C100 can also be programmed to accommodate a variety of protocols, such as IEC60870, or older protocols such as Comli or Modbus.